And the other son says, “I fart in your general direction!” I love it when the boys quote the classics! This has been an actual conversation in the Man Cave. What’s the Man Cave? Read this. 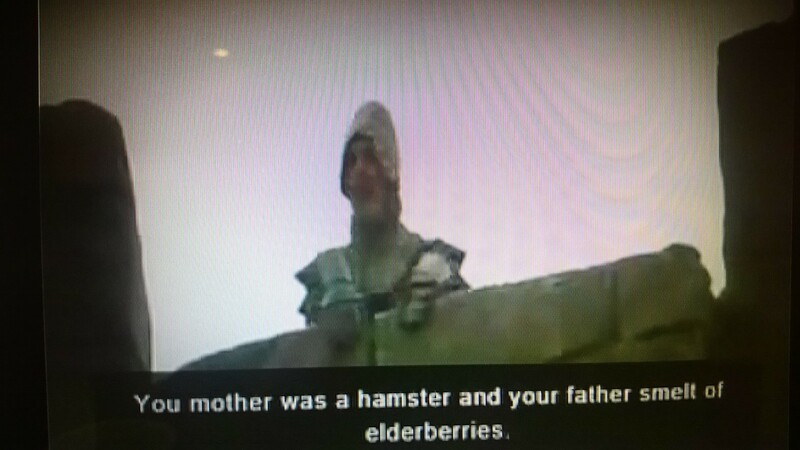 Watch the Monty Python scene the boys are referring to here.